The Symbol MC70 has reached end of life. We suggest the Zebra MC55. 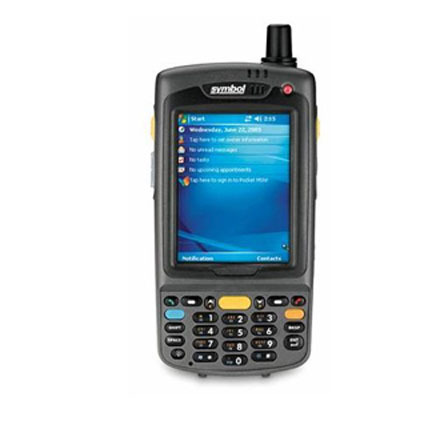 The Symbol MC70 combines cell phone, PDA, computer, scanner and imager into a single unit your field workers will love. Capable of connecting via Bluetooth, 802.11 a/b/g, and even eGPRS/GSM networks, the Symbol MC70 functions wherever you need it.